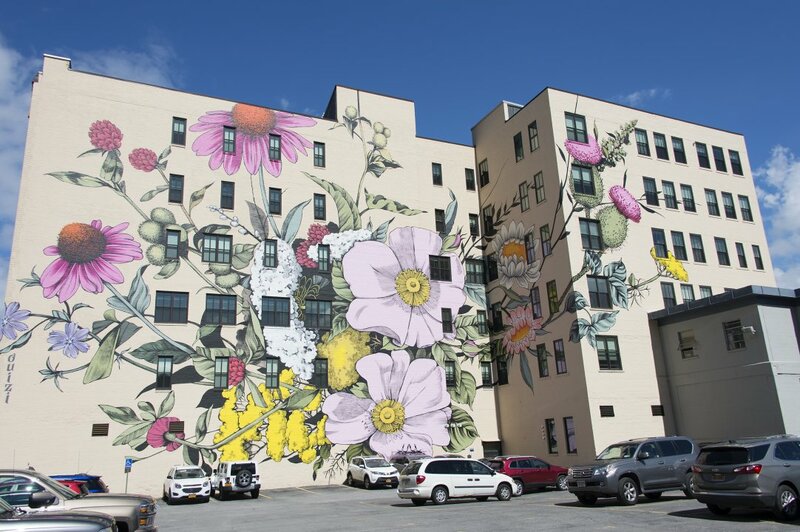 The artist’s largest mural to date, titled Wildflowers for Buffalo, was recently completed in Buffalo, New York as part of the Albright-Knox Art Gallery’s Public Art Initiative. 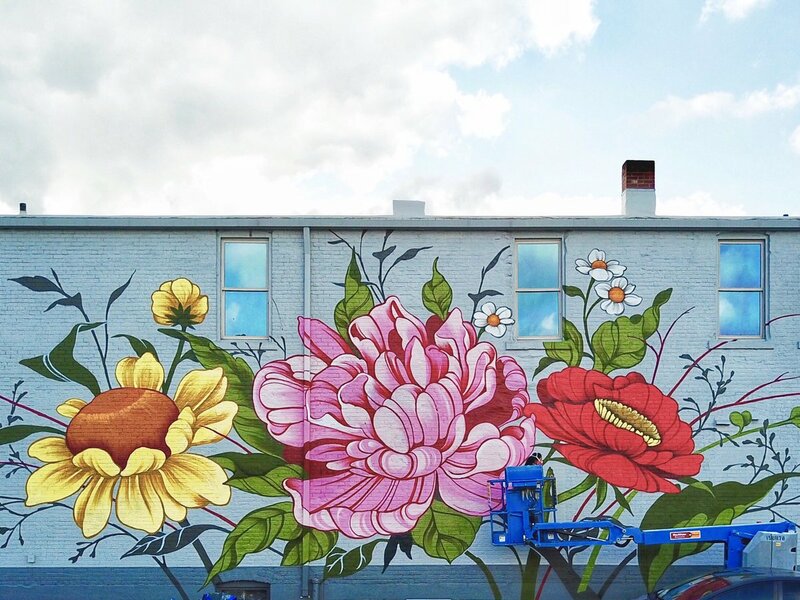 The enormous work is the largest mural in Western New York. For this commission and other site-specific projects, Jones researched and incorporated native flora in her designs. She works in a distinctive aesthetic that merges botanical realism with a stylized, sinuous technique that draws from her Chinese heritage. 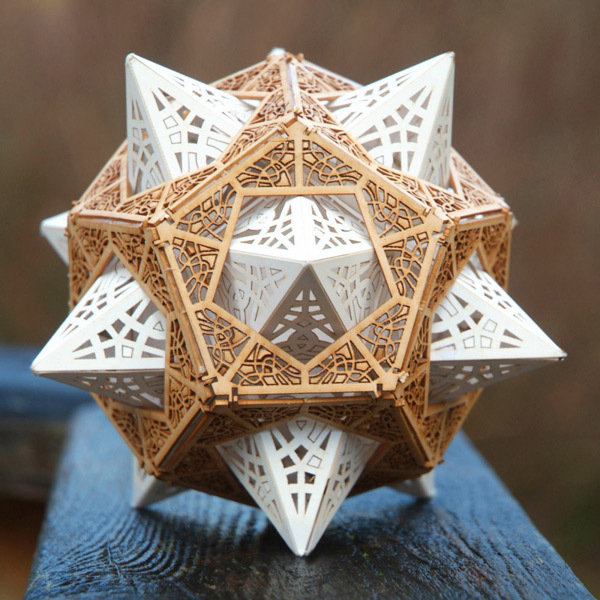 Jones studied drawing and printmaking at UC Santa Cruz. 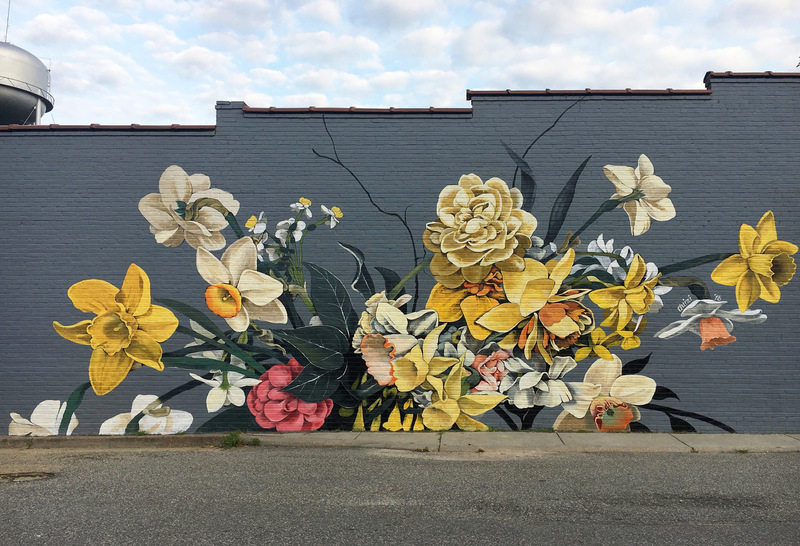 You can see more of her work on Instagram, and watch a behind-the-scenes video and interview of Jones’ Buffalo mural below.